The Republocratic National Convention. - Miata Turbo Forum - Boost cars, acquire cats. Props to Eastwood. That was actually some pretty funny schtick. I mean, I don't care whether you agree with him or not, it was just a well-done bit. Listening to the DNC last night while working in the garage. A couple of points from Nancy Keenan (president of the National Right to Kill Babies Action League) stuck out. First, Sandra Fluke got a mention. She's going places, and I still find her irresistible. Second, Keenan stated that Mitt Romney will, and I'm quoting directly here: "overturn Roe v. Wade." Roe v. Wade was a COURT DECISION. The President of the United States cannot overturn court decisions! If he could, then we would refer to him as "glorious leader" and there'd be no need for a court in the first place. Or elections, for that matter. It's things like this which genuinely make me want to say "To hell with the first amendment," and propose that in order to protect the electorate from its own stupidity, we need to ban political speech which is false and misleading. If I may don my racist/bigot hat for a moment, it also makes me quiver with fury when politicians (principally democratic politicians) argue that some republican politician did something to make it more difficult for (poor / uneducated / non-white, non-landowning) voters to vote, such as requiring them to show some proof of identification. Anybody remember "Starship Troopers" (either the 1959 novel or the loathsome film adaptation) in which the right to vote was EARNED, rather than simply conferring automatic suffrage upon everyone 18 years and older who happens to have a pulse? I can think of nothing which would be MORE BENEFICIAL to the modern democratic process than to eliminate two-thirds of those involved in it. Quivering with fury, incidentally, is counterproductive when you are wielding an orbital sander. I also recall a couple of quick interviews with random people in the crowd. Quite frankly, the degree of illiteracy and overt entitlement simply astounds me. Honestly, 90% (and that's a low estimate) of American politics is analogical to sports fandom. You pick a team based on family, region, friends, or an influential childhood experience. And then you root for that team through thick and thin. It doesn't matter if they are good, bad, smart, stupid, honest, deceitful...they're your team, so you root for them. I'm pretty liberal, and even I thought the speeches from the DNC were pretty bad. Someone on Reddit suggested that IBM's Watson should co-moderate a debate and fact-check in real time. Too bad nobody cares about facts (especially the company that runs the debates, which is 50% owned by each party). I think that would be awesome. [email protected] laws. Are we still debating them? I didn't think there was a debate. There is no voter fraud, so why the extra laws? Don't you conservatives HATE extra laws? The sad part is that the interviewer's questions ought to have been fairly easy to pick apart -- there are tons of unchallenged assumptions in his line of reasoning, but they just kept walking right into the trap over and over again. I would love to be able to jump on that video and talk about the ignorance of the left but I have seen the same kind of appauling **** from ignorant republicans. I am with Joe, sometimes I feel as if voting should have some sort of pre requisite. I'm with Ryan and Joe. Both of the conventions (Well, at least the Democratic so far) were absolute stinkers - hell, even Fox News called Ryan out on lying on the Republican side. And then we have the Democrats doing this as counterpoint. You just got me my *** handed to me in an argument because I didn't fact check your comments about Romney! I know, I know, my fault for not fact checking. And it's not exactly the same thing you said. But that stings man. That stings! WTF are you talking about? I was quoting a speech made by self-professed child murder advocate Nancy Keenan at the DNC last night, and my entire point was that the statement being quoted was erroneous, ill-informed, and misleading. That moment illustrates what is at stake in this election. Put simply, women in America cannot trust Mitt Romney. We cannot trust Mitt Romney to protect our health. He would repeal Obamacare, taking away our access to better maternity and prenatal care, and the law's near universal coverage of birth control. And we cannot trust Mitt Romney to respect our rights. He would overturn Roe v. Wade and sign into law a wave of outrageous restrictions on a woman's ability to make decisions about her pregnancy. Mitt Romney would take away our power to make decisions about our lives and our futures. But there's one decision he cannot take away—and that's the one women will make on November 6. See video. Romney's on numerous video sources as "supporting the overturn of Roe v. Wade", or "would oversee the overturn of Roe v. Wade". He's also said he'll appoint justices such as Alito to overturn it. You may be correct in the most general sense, i.e., Romney's never said he'll overturn it himself as president, but he has said he'll take actions to see it overturned as president. Take that for what you will Joe - I cannot reasonably argue to someone else that they aren't basically identical statements. Especially since Romney has made a big plank in his campaign platform about the overturn of Roe v. Wade. TLDR: An argument of semantics is silly, I'd argue that the statements "Romney would overturn Roe v. Wade" and "Romney would oversee the overturn of Roe v. Wade" are very similar. ([email protected] of your post) Granted, the latter part of the same sentence is BS. Romney's said nothing about abortion legislation, just seeing that Roe v. Wade will be overturned. Great observation. I listened to an interesting interview on the negatives of the 2-party system last night, talking about how things like closed-party primaries can have a small minority (usually on one end of an ideological spectrum) limiting the choices of the majority of citizens. Counter-intuitively to most trends in government, California was actually held up as an example of possible positive reforms in two ways: open primaries and non-partisan state redistricting groups. do you have a point? honestly, do you just like to type words? Again, more "gotcha" journalism on unprepared, unsuspecting people, but it's still pretty funny. See video. Romney's on numerous video sources as "supporting the overturn of Roe v. Wade", or "would oversee the overturn of Roe v. Wade". I'm afraid you missed my point *completely*. This isn't about Roe v. Wade. It's about the public perception of the role of the president in government, and how politicians on BOTH SIDES of the Great Divide intentionally create distortion and manufacture artificial conflict in order to influence voter behavior, with the unfortunate side effect of distracting voter attention away from issues of actual importance in the process. Romney said "I am in favor of having the Supreme Court overturn Roe v. Wade." Great. I have no problem with that. Some random woman who I met at the grocery store yesterday was also in favor of having the Supreme Court overturn Roe v. Wade, and the important distinction here is that she has just as much ability to actually cause that to happen as the president does. Both Mr. Romney and the lady at the grocery store were simply expressing an opinion. But then along comes the Fact Distortion Beam. Mrs. Keenan got up in front of the nation and said that if Mr. Romney is elected president "He would overturn Roe v. Wade." The President can't overturn court decisions! In fact, the President can't really influence the decisions of the Court at all! If he could, then we'd be voting for the next dictator, not the next president. By design, the opinions of the court are as free from political bias as is possible to achieve short of drawing the names of justices randomly out of a hat. The Executive branch does not control their purse strings, it cannot remove sitting justices or impose sanctions on them or the court as a whole. The Court is an independent body. And yet by making remarks like the one Mrs. Keenan did, they cause the public to believe that "gee, if Romney gets elected, he's going to take away my right to have an abortion! I better not vote for him. They have created a conflict which now dominates electoral debate, without any regard at all for the fact that the thing being debated IS NOT WITHIN THE AUTHORITY OF THE PRESIDENT IN THE FIRST PLACE. And so my point here has nothing at all to do with abortion, or with any one person's opinion about abortion. It's far deeper and more insidious than that. It's about the fact that a lot of people are about to elect a president based on their own personal viewpoints concerning an issue which, by definition, THE PRESIDENT IS POWERLESS TO CHANGE. 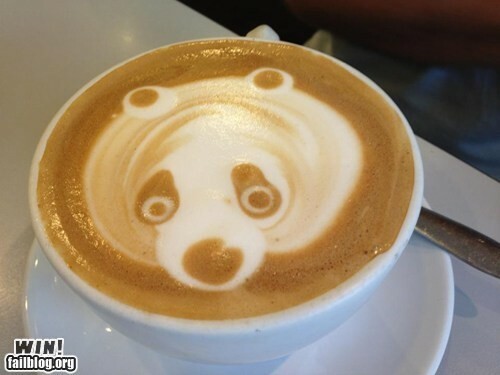 And that makes Cappuccino Panda sad. Joe, I am sure that woman (and Romney him self) were referring to the President's power to appoint Supreme Court justices, something the lady at the supermarket cannot do. If elected President, Mitt Romney would have more power to change Roe v. Wade than everyone else in the country, save the 9 justices. IB4 blaen posts more drivel because he doesn't understand simple concepts even when Joe clearly states them, again. Joe, I am sure that woman (and Romney him self) were referring to the President's power to appoint Supreme Court justices, something the lady at the supermarket cannot do. So is Romney going to murder the current Court, and then appoint all new justices? and then he's going to tell them to go overturn a law because he said so? *holy ****, a reference to our savor...why would he post such reference? did Roosevelt attempt to add 6 or so more justices to the court in an attempt to pass laws through the courts? no way, a democrat wouldnt do that, he loves this country and the people. democrats freed the slaves. First, the President doesn't appoint justices. He nominates them, and then the Senate confirms them. So it's not like the President has the authority to indiscriminately stock the court with whomever he wants. Second, justices are appointed FOR LIFE, meaning that there's not a lot of turnover. There are still two justices sitting on the bench who were nominated by Ronald Reagan, which was before a lot of y'all on this forum were born. Thus, the number of justices whose appointment any one specific president can influence is very small. Taken together, these two facts should be enough to convince a person that there is virtually nothing at all which any President can do to effect prompt change in court rulings. But if it isn't, remember that the Supreme Court is an APPELLATE COURT, and not a court of original jurisdiction in most affairs. So even if the entire court was stocked with justices who oppose abortion, not even the court itself has the authority to arbitrarily go back and rescind prior rulings. As I said, this isn't about abortion. It isn't about the Supreme Court. In fact, it's not even about the election of the President. It's about the fact that we as a nation seem to have completely lost touch with the realities of how the executive branch of government actually works, that this is directly attributable to the deliberate distortion of reality by squabbling partisans both inside and outside of Congress, and that there seems to be NO ACCOUNTABILITY AT ALL for those who knowingly, willfully, and with the intent of committing what in the end accounts to electoral fraud on a national scale, generate these false and misleading statements for the sole purpose of confusing the electorate in order to nominate and elect politicians based on party loyalty rather than fact-based strategic goals. Totally agree. Watch one episode of Bill O'reilly to see it happening on the left, watch one episode of The Daily Show to see it happening on the right. I feel the same way every time I hear someone say "socialism." All I learn is that they have no idea what socialism means. Edit: Also, as if you needed any proof, I would say Blaen taking your out-of-context quote from someone else who took the original speaker out of context and losing an argument based on that is a prime example. Sorry Blaen. Corruption at both the DNC and RNC. The parties ram the planks through against the (loud) obvious will of the delegates. All over youtube, no reports in the mass media. Quick Reply: The Republocratic National Convention.